Excellent condition, 3 bdrm, 2 bath home on 1.57 acres. Upgrades include cedar siding, kitchen remodel, living and dining room renovation, laminate floors, driveway crush and back entrance to den area. The house has a very quiet heat pump system for efficient heating and air conditioning. Use the wood stove to keep heating costs even lower. 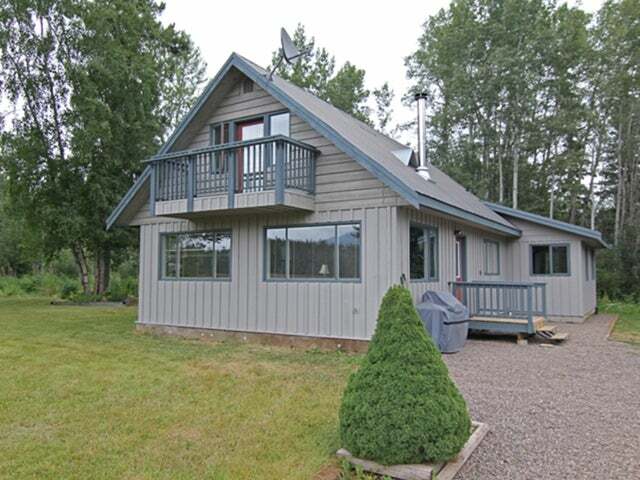 The property is just a few minutes away from Smithers, and has developed garden beds and a view of Hudson Bay Mountain. Half the lot is treed, with plenty of room for expansion, like building a large shop or installing some fencing for a small hobby farm. This home is in great shape and in a great location.